Whether you can't find a networking group in your local area or you just fancy doing it yourself then here are some tips for setting up and running your own successful event. Networking is a great way to grow your business and link up with others for support and motivation. But what if there are no groups meeting in your area or the ones that exist aren’t suitable? Rather than losing out on the benefits why not set up and run your own group? If you decide to go down this route then here are a useful few suggestions to help you along! What are the benefits of running your own event? Become the local connector, the 'go to' person. Raise awareness of your own business - being the organiser of a busy local event is hugely valuable, potentially gaining new customers for your business. Learn new skills - running an event will give you confidence and other skills which you can put to good use in your own business. Make money - depending on the type of event you are running it can provide an extra income stream. Satisfaction of helping businesses in your own local area, especially where there are limited networking and business support opportunities. Create an event at a time and in a format that suits you. Look into what is available in your area, what kind of formats and what time of day. Is there something that is missing that would be of benefit to your local business community?. Speak to other businesses and do some research into what people actually want. It is no different to selling any other product or service, there must be a demand otherwise you won’t have any customers! Make sure you are clear on your own goals, what do you want to achieve from running a business networking group? Is it financial, for support or purely for social reasons. How do I go about setting up my networking group? There are a couple of options depending on the level of involvement you want financially and timewise. This approach will require the most thought and risk as you will be starting something from scratch. Following on from your research, you will have decided on the event format. You need to write it down and formalise it along with any other group rules. To give people confidence in your group it needs to seem professional and well organised. Even the most informal event needs some sort of structure. Create a marketing plan to get the word out about your new group, this is a whole topic in itself! It is worth listing the event on Find Networking Events which will give your event an instant online presence from day one. Set up a LinkedIn group for your networking event and encourage members to participate and continue networking online. If the online community is managed well then it will encourage attendance at the face to face events. If the idea of creating and administering your own networking group terrifies you then there are a number of networking event franchises and other similar opportunities out there which offer an alternative. Some involve franchise and on-going fees to be paid to the franchisor, some involve just a time commitment. Look for one that works for you and your goals. Have to follow a system specified by the franchisor - only a problem if you are likely to find this difficult! You may have to pay a share of fees to the franchisor depending on the arrangement. It is very important to do your due diligence when considering this route, especially where a financial outlay is required. Remember that franchised events still require you to put in the effort to market them, albeit with support from head office. When you initially set up your event it is a good idea to invite a group of your existing contacts who you can rely on and who will get the group off to a good start. For the best chance of success look for all the publicity you can get. The local online and offline business press often announce the launch of new business groups, send out some targeted press releases. Above all make sure your events are fun and give people a reason to come back! Interested in running your own business event? 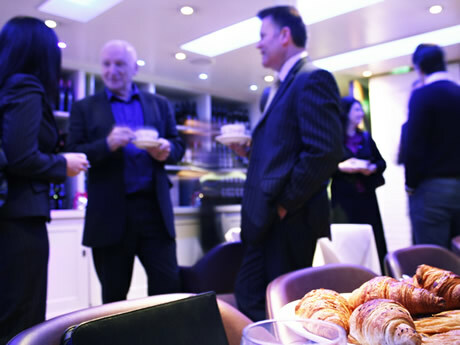 Click here to view our list of networking event franchises, licences and other opportunities for starting your own networking group.